two years. It’s also expected that this appointment may encourage many other former IAS officers currently specializing in key sectors such as health, infrastructure, finance, banking etc. either in India or abroad, to explore a second innings in the corridors. The government, in fact, has realized that Swachh Bharat has not been able to make a huge impact though the total number of toilets being constructed across the country has gone up in the last one and half years. The Clean India Mission was initially driven by a Gujarat cadre IAS of 1980 batch — Ms Vijay Laxmi Joshi, the then secretary in the ministry of drinking water and sanitation, but her sudden decision to take voluntary retirement from the government in November last year, created a huge vacuum there. Initially, the secretary’s post was handed over to the then rural development secretary Jugal Kishore Mohapatra on an adhoc basis. In the backdrop of an ongoing generalist versus specialist debate, where many argue that IAS officers, the generalists, take charge of many a specialist’s job, Iyer’s appointment has given a new lease of life to the debate of need to appoint specialists for key government missions. 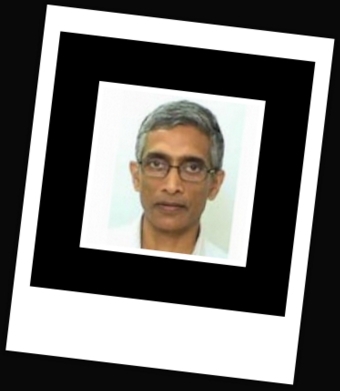 Yes, Iyer was an IAS officer but he has worked in water and sanitation departments for nearly two decades if his experiences in the government and World Bank in water and sanitation work are combined, undoubtedly making him an expert in the field. As an IAS, he worked in the union ministries of defence and textiles in1980s, and was then collector and district magistrate in UP’s Bijnor district. But he developed real expertise in water and sanitation during his eight years long innings in United Nation’s World Food Program (1998-2006) where he had worked as a senior water and sanitation specialist. For him, it was a government-approved foreign assignment and he could continue his rank as director to government of India during that posting. But he did not come back to the government and instead, continued working abroad. He finally took voluntary retirement from IAS in June, 2009 after DoPT reminded him of his failure to join back the service. In the World Bank, Iyer has been working on water supply and sanitation issues since June 2012. Currently based in Hanoi, Vietnam, he was previously posted in Washington on Egypt and Lebanon and prior to that in the Bank’s Water Anchor. “He has led two Bank operations in Vietnam using the new Program for Results lending instrument and is currently working on a third focusing on sanitation in the Northern Mountains and Central Highlands regions”, according to his profile posted in the World Bank site. Undoubtedly, Iyer has a key role to play in Vietnam's sanitation drive. Vietnam has set the target of making it an open defecation free nation by 2025. So, will Iyer in his second innings in the government expedite the Centre’s mission of constructing more and more toilets in India? If you read his published articles on sanitation, Iyer may change the Swachh Bharat approach. After all, there have been news reports saying how in UP villages, people prefer open defecation than using their newly-built toilets. “The biggest lesson learned so far in Vietnam and other countries is that eliminating open defecation is not driven by construction of toilets. It is driven by changing behavior at the community level based on quality, evidence-based interventions. What is also clear is that approaches must be tailored to the specific context with careful consideration of local factors such as ethnicity,” wrote Iyer in a November 2014 blog for the World Bank’s site. Just wait and watch. Swachh Bharat Mission may soon get a Vietnamese twist. Appointing Mr. Iyer as Secretary, Ministry of Drinking Water and Sanitation, is an excellent choice. It doesn't matter to which Service a person belongs/belonged. What really matters is the qualifications or experience. Mr. Iyer has a long experience in this field of work. He has good international exposure in this area of administration. In this generalist versus specialist debate, nobody opposes IAS officers heading departments. What everybody demands is mapping qualifications & experience to the posts/positions. Only an officer having relevant qualifications or experience has to be appointed to a particular department but not by virtue of belonging to a particular Service. Good news that an expert from the field is posted as Secretary, domain knowledge of the Head of the organization has tremendous influence on the organization performance. It is very good initiative from the government. From the article it is not clear whether government did search for a specialist and followed up with him for roping him in as done in most of the senior level private sector appointments Or is it thru regular notification against which he has applied. If it is former case, then one should really appreciate such initiative from the government. So does the above debate means that State Group 1 service officers also by virtue of their expertise adorn such posts. Mr. Prashant would you like a Tax Assistant in your department be elevated as a Secretary of space department because of his research in space. I know your ego does not allow it. You people are fooling even one else. Calling your selves civil service officers, you only talk of you service conditions but not the conditions of general public. India will only progress if selfish and ego-centric officers are shown the door. This is really a bold decision taken by Hon PM. And I am very confident that Mr. Iyer will turn the table. What he has achieved outside India is remarkable. I fully agree with his approach on the entire initative. It has to be driven by behavioural change and counselling and then the construction of toilet becomes the next logical part. Happy to share that we have undertaken same approach here in Maharashtra’s Thane District. In last two years, through our Rural Sanitation project 'Right To Go' we have empowered 371 families with their own individual toilet blocks in Sogav and Nandwal village of Shahapur taluka of Thane District in Maharashtra state of India. • Identification of active/influential group of people in village and involving them in mobilization of villagers. Currently the third project is being undertaken in Dahigaon village with next 250 individual toilet blocks. I have taken this as my personal mission and will be happy to guide anyone on this. The next plan is to make this scalable in bigger way, instead of one village in one year, plan to do 4 to 5 villages in each year. I have seen that if you are true to your cause and passionate about it, finance is never a problem. We have been financially supported by Indian American Dr. Renuka Desai, Rotary Foundation and of course my own club Rotary Club of Thane Hills, India. There are many Corporate who wish to come forward if they find 'right' people to work with. I am positive about India! I worked under his dynamic leadership. He is completely devoted to his goal.I hope that he may able to provide a great leadership to fulfill the aims and goal of Swachh Bharat Mission though it is very difficult to implement the things in rightway.